We are Ron and Tricia Barnett and we live in Banbury Oxfordshire in the UK. We have four adult children, we like music, travel and good wine, and want to visit family all over the world. Ron is a chartered civil engineer, a Fellow of The Institution of Civil Engineers and a Member of the Institute of Management. He is also registered as "Eur Ing", entitling him to practice engineering in any European country. After a 32 years career in Local Government, the last eleven years as a Chief Officer heading a technical department, he now enjoys early retirement playing his trumpet and doing charity work. After being a fulltime mother for many years Tricia worked as an administrator at The Grimsby Institute of Further& Higher Education. 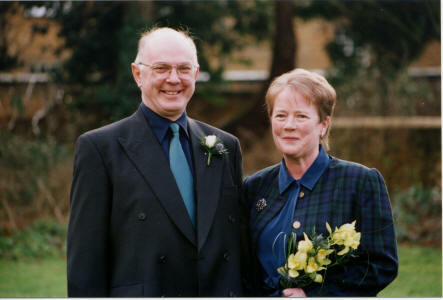 On moving to Banbury in 2000 Tricia worked for a while with Banbury Homes until taking early retirement in 2003. Copyright © 2009 Ron & Tricia Barnett. All Rights Reserved.